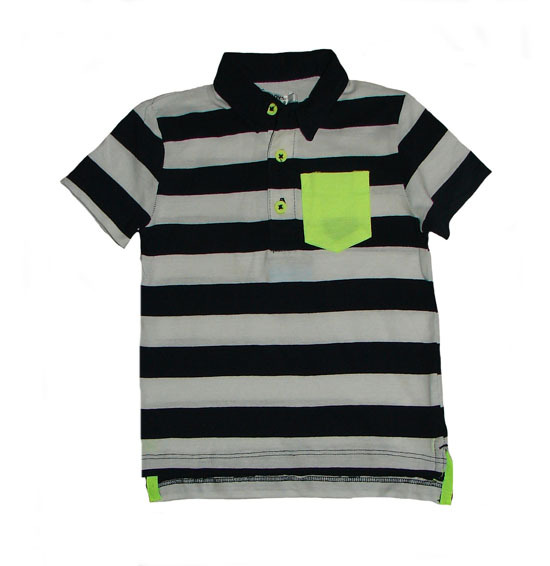 Style Description : Boys striped polos. Yarn dyed stripes. Short sleeve. Self fabric collar. Has contrast patch pocket. Side slit with twill tape.